Nearly 35 million Americans will travel during the Memorial Day weekend but fewer will drive as gas prices in some regions move over $4 a gallon, the American Automobile Association said Thursday. New Auto ETF Exemplifies Growing Auto MarketFord Building Transmission Plant in ChinaUnited Apologizes for Using 9/11 Flight NumbersAAA projects 34.9 million Americans will travel 50 miles or more from home during the Memorial Day holiday weekend -- Thursday, May 26 to Monday, May 30 -- up 0.2% from last year. Most Americans -- 30.9 million -- will travel during the weekend by car, slightly down from last year. About 88% of holiday travelers will use their cars. The average price for regular gasoline nationally is $3.91, down from $2.85 last year, AAA said. Six out of 10 said rising gasoline prices wouldn't impact their travel plans, according to the survey, AAA said. Of the remaining four out of 10 who said rising gas prices would impact their plans, 70% will economize in other areas and the rest will take a shorter trip or travel by other means, AAA said. 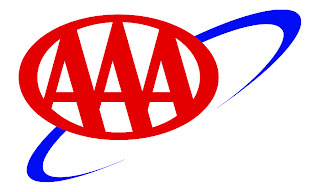 AAA said the number of air travelers is expected to increase by 11.5% during the Memorial Day weekend. "Memorial Day travel experienced a gain of more than 14% in 2010, and this year we expect to add slightly to that gain due to an increase in air travel and an improvement in the overall domestic economic picture," said AAA President and CEO Robert Darbelnet, in a press release. "Some travelers will compensate for the higher fuel costs by cutting other areas of their travel budgets."